90 DAY FIANCE Did Nicole and Azan get married? He posts photo with a wedding ring! The 90 Day Fianceverse is all in a tizzy after Happily Ever After star Azan Tefou uploaded a new batch of Instagram photos, including one in which he can be seen clearly wearing what looks to be a wedding band on his left ring finger! 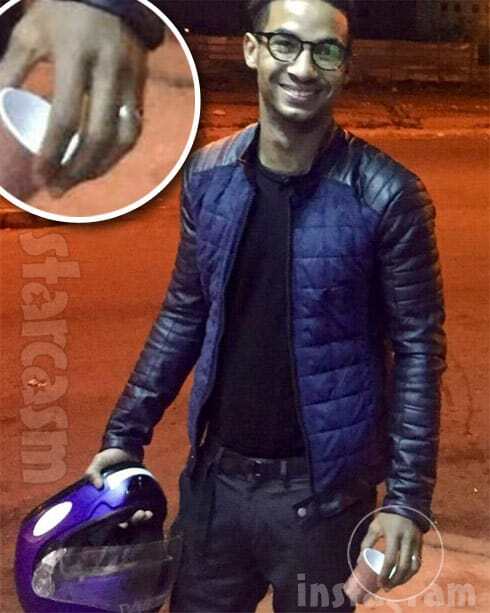 In the photo (above), you can see Azan looking rather dapper while holding a motorcycle helmet in one hand and a small cup in the other. 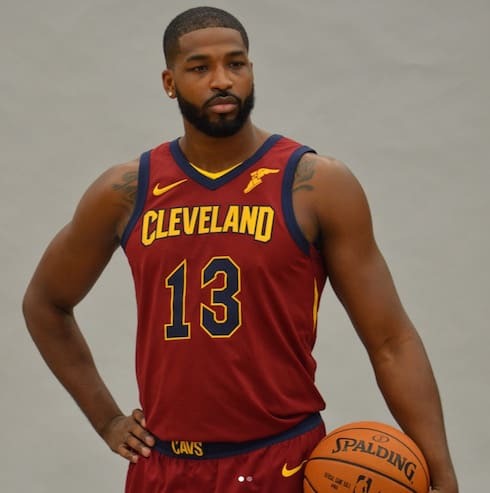 Judging from Azan’s belt and jacket, it doesn’t appear as though the image has been reversed, so I assume that really is his left had with the ring. I thought Azan’s jacket looked a little familiar, so I went back to this week’s episode to catch the previews for next week and sure enough, Azan was wearing the jacket when he met Nicole at the airport! What I didn’t expect to find out was that during Azan’s interview in the preview (in which he was talking about being surprised that Nicole found those recordings of him sweet talking another woman), you can clearly see he is wearing the ring! Ummm… This still doesn’t confirm anything either way because Azan could have done the interview after they were married. Numerous fans were debating about whether or not Muslim men wear wedding rings, and it appears as though it isn’t a traditional Muslim practice, but many are adapting the Western custom. One thing that does appear certain is that if the two did get married, Nicole’s plan to remain in Morocco for up to a year was changed. She has been posting numerous photos and videos back in Florida with her daughter May dating back to last month. I don’t think the CR-1 or K-3 spousal visas require that the American spouse remain in the foreign country the entire time the visa is being processed, but it is certainly notable that Nicole is currently in the United States without any indications that she will be returning to Morocco (yet again) any time soon. 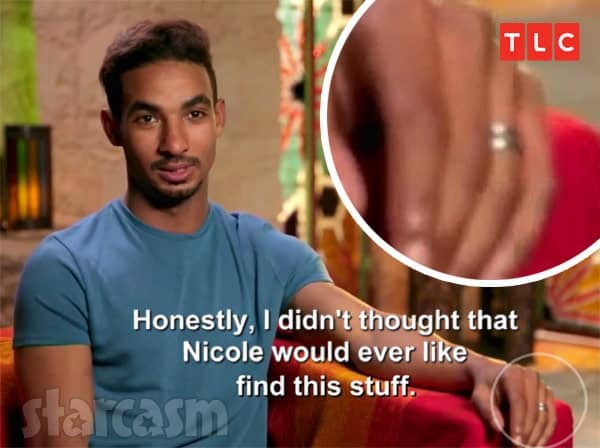 I have to give mad props to 90 Day Fiance: Happily Ever producers here because they have not only managed to keep it a secret whether or not Nicole and Azan actually got married, but they have kept most all of us obsessed over finding out! Be sure to tune in next Sunday night at 8/7c for the next two-hour chapter in which we get to see Nicole, Azan, and May back together again.